Journey to distant Arabian lands renowned for brave warriors and fearsome weaponry in Stronghold Crusader HD. 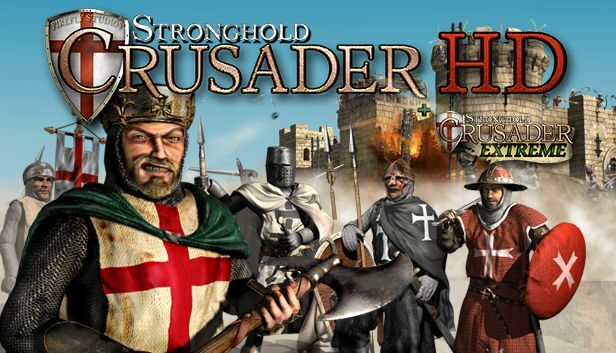 The highly anticipated sequel to the best-selling Stronghold, Crusader throws you into historic battles from the Crusades with fiendish AI opponents, new units, 4 historical campaigns and over 100 unique skirmish missions. Relive the historic Crusades as Richard the Lionheart and the Saladin, Sultan of Syria. Lead a determined group of Crusaders, forged by centuries of barbaric warfare, amidst the haze of the desert heat then fight for your freedom as the mighty Saladin. Step 1 / 3 - Please enter your e-mail address to request one or more press copies of Stronghold Crusader HD and press the next button to continue.